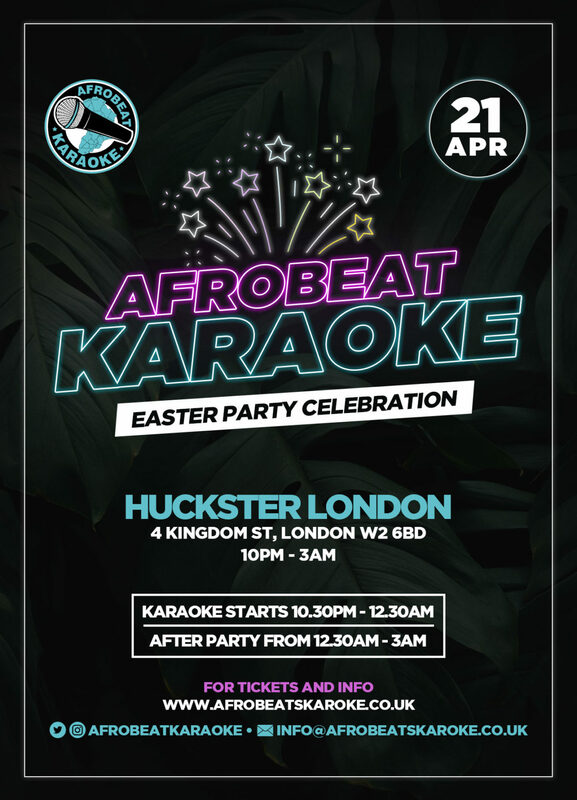 Another ‘Easter’ is upon us – We had such a good time at last year’s celebration – We are celebrating another easter the #AfrobeatKaraoke way!! Get in on the limited £8 tickets early as this is sure to be a sell out. Everyone loves Afrobeat Karaoke, Come and see why. AfroBeats, RnB, HipHop, Bashment, Funky House & Old Skool Garage, Soca, Old Skool Classics & Slow Jams.